Winner of the 2015 Gelett Burgess Award! 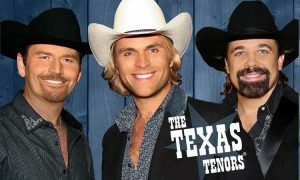 World-famous, The Texas Tenors offer a tuneful, western-style romp on a ranch full of frisky critters. 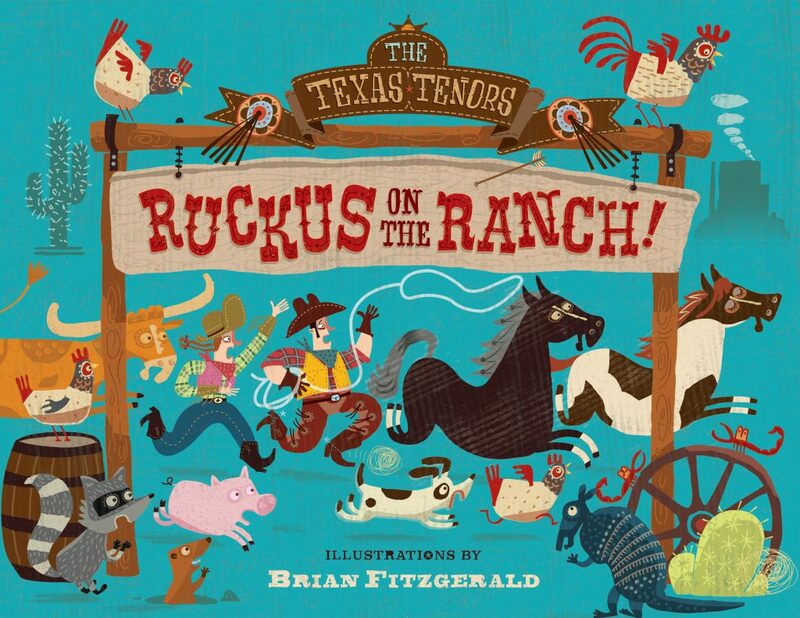 This charming story, illustrated vibrantly and playfully by Brian Fitzgerald, is the debut picture book by the wildly popular trio, who were the highest-ranking vocal group in the history of America's Got Talent in 2009. When the stallion, Wyatt, runs after the mare, Ruby, he starts a chain reaction as a cowboy, cowgal, and assorted ranch animals join the chase-around. What's all the hubbub about? Wyatt just wants to play a game with Ruby! He doesn't mean to cause such a ruckus! The Texas Tenors have performed in more than five hundred concerts worldwide over the last four years—and have recorded a song version of the story, and will be promoting it in their concerts, on their website, and in book signings. Whoa, Ruby! Whoa, Wyatt! Y'all get back in place! You're causin' a ruckus on the ranch!